Michael R. Martin, Jr. is a Director at LitCon Group, LLC. Mr. Martin has more than 20 years of experience specializing in the preparation and defense of damage claims, investigations, forensic accounting and compliance issues for clients in the construction and government contracting industries. He has developed and rebutted damage analyses in litigation and other forums, assisted clients in responding to Government inquiries and participated in negotiations with various Government entities such as DCAA, DCMA and multiple Offices of Inspector General. Mr. Martin has presented at mediations, settlement discussions and been qualified and testified as an expert related to cost and damages issues. In the construction industry, Mr. Martin has assisted clients with delay, acceleration and disruption analyses, productivity losses, disputes arising from defective specifications, drawings and differing site conditions, termination claims, change order pricing, unabsorbed general & administrative costs and prime and subcontractor disputes. He has worked on a diverse range of projects including single family housing developments, commercial multi-use office complexes, light rail transportation projects, power plants, manufacturing facilities, parking garages, security upgrades, and road and bridge construction projects. For clients involved in government contracting, Mr. Martin has consulted on compliance matters involving the Federal Acquisition Regulations, Cost Accounting Standards, False Claims Act and the Truth in Negotiations Act. 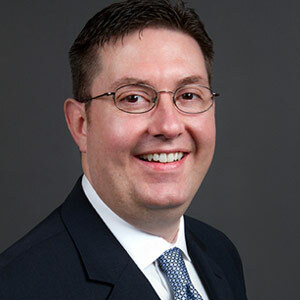 He has aided clients with preparation of Requests for Equitable Adjustments, claims, GSA schedule price reduction and defective pricing clause analyses, investigations, voluntary disclosures, cost accounting disclosure statement preparation, indirect rate structure design, incurred cost submissions, counterfeit electronic parts compliance, accounting system configuration and utilization, and provided cost and pricing analysis for bid protests. He has also conducted government contracting compliance reviews. Mr. Martin has lectured on many topics related to government contracting and construction claims.